Is it possible to stop tooth decay without the help of fillings? Yes. The latest study from University of Sydney states that tooth decay can be stopped and reversed with no-drill dentistry, which means there is no drilling and filling involved to halt the dental caries. If you have dental anxiety and the sound of a dentist’s drill alone sends chills down your spine, then this new study may offer hope. The results of the seven-year study were published in Community Dentistry and Oral Epidemiology in December 2015, which suggests that there’s often no need for the traditional “fill-and-drill” and that dental caries can be stopped with preventative oral care. Professor Wendell Evans, the study’s lead author, stated, “It’s unnecessary for patients to have fillings because they’re not required in many cases of dental decay.” Professor Evans and his team developed the Caries Management System – a preventative regime used on teeth before the decay develops into a cavity. CMS is a set of protocols that inhibit and prevent dental decay long before a dentist’s drill comes into play. It consists of four aspects, which includes an application of a high-concentration fluoride varnish to the sites of early decay, advice on how to brush better, restriction of between-meals and snacks and sugary beverages, and risk-specific monitoring. The team of Professor Evans found that the decay risk fell by 30 to 50 per cent among patients who receive the CMS no-drill treatment. “The CMS showed that early decay could be stopped and reversed and that the need for drilling and filling was reduced dramatically,” said Professor Evans. “A tooth should only be drilled and filled where an actual hole in the tooth (cavity) is already evident,” he said. When bacteria are exposed to sugars or carbohydrates, they can produce acids. The acid attacks your enamel, a process called demineralisation. The first sign of decay is a chalky white spot, which can be reversed with the use of fluoride in the dental office and at home. As the demineralisation continues, the acid eventually penetrates the enamel and this most highly mineralised substance starts to break down. As soon as the enamel surface is broken, the cavity forms and the tooth can no longer fix itself. Preventive dentistry is the branch of dentistry that focuses on caring for your teeth to keep them strong and healthy. It involves preventive measures such as at-home oral hygiene, fluoride use and diet. Preventative dental care helps you to keep your teeth and uphold a healthy mouth by avoiding cavities, periodontal disease, tooth loss and more. When you are free of oral health diseases, you can also avoid spending money on expensive dental treatments. “Professor Wendell is correct in saying that prevention is key plank in the fight against dental disease and this is why the ADA continues its efforts on oral health promotion through activities such as Dental Health Week and community access to fluoridated water supplies. Preventive dentistry is the backbone of modern dental practice and this research will provide further evidence of the benefits of this approach for patients,” said Eithne Irving, the deputy chief executive of the Australian Dental Association. 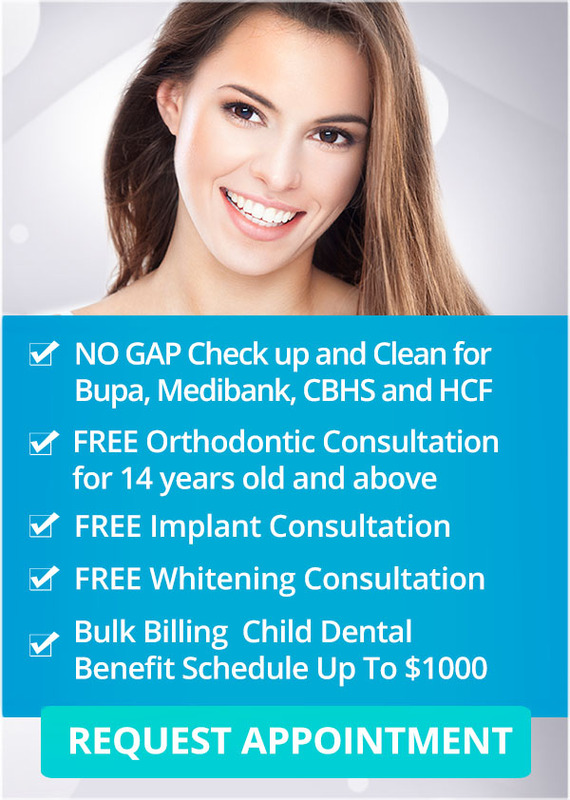 Visit your Melbourne Dentist today! Do you have further questions about no-drill dentistry or how preventive care helps in stopping tooth decay? Don’t hesitate to visit your Melbourne dentist at Q1 Dental for comprehensive answers. We at Q1 Dental strongly believe that “an ounce of prevention is worth a pound of cure”. Q1 Dental offers a wide-range of preventive dentistry strategies designed to help you enjoy a lifetime of healthy and beautiful smiles. We are equipped with state-of-the-art dental technology and comprised of highly skilled dental professionals in order to provide you with the best dental care possible. For Medibank Private, HCF and CBHS, claim your PAY NO GAP OFFER on check-up and clean. Bulk Bill Child Benefit Schedule Up to $1,000. FREE Consultation on Dental Implants, Teeth Whitening and Orthodontics. Don’t miss our special offers.